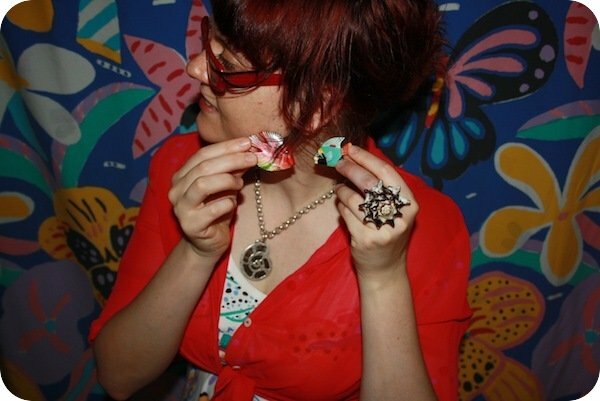 Fish earrings from op shop, hand-made necklace by Iain, vintage Jag shirt from op shop, Ken Done summer dress (WKBD collection), vintage boots from op shop, shell ring from Hawaii. 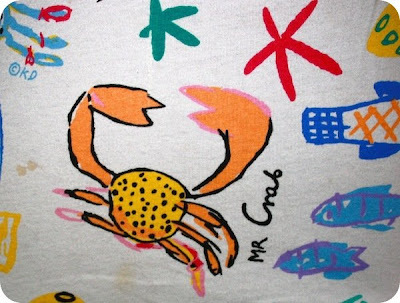 You know it's going to be a *good* Monday when you're spending it with Mr Crab (made by Mr Ken Done). Great summery outfit! I hope Mr Crab is making Monday go fast for you. oh what a lovely SeaSide look.